The Omni Fort Worth Hotel has it's ceremonial grand opening January 12. It'll host guests beginning January 17. Fort Worth is finally getting its convention center hotel. 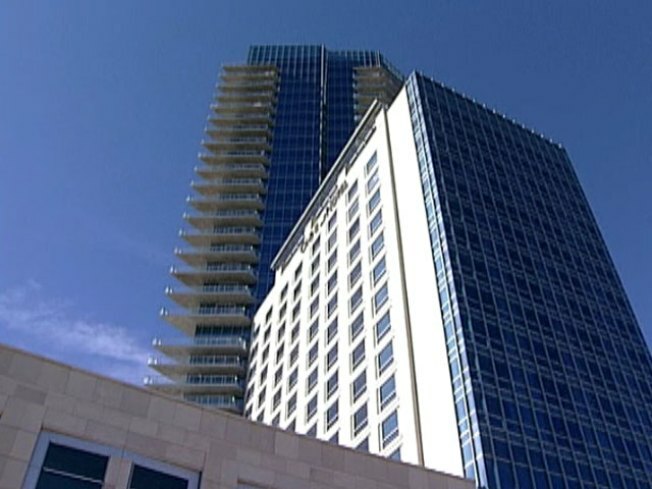 The Omni Fort Worth Hotel will celebrate its ceremonial opening with a special ribbon cutting and champagne reception Monday. The 614-room hotel is directly across Houston Street from the Fort Worth Convention Center, is within walking distance to Sundance Square and a short car ride to the city's museum district. The hotel boasts native stone, hardwood floors on the inside and the outside is wrapped in glass. There is also a garden on the roof and an outdoor swimming pool on the third floor. Hotel guests will also be able to enjoy Bob's Steak and Chop House, one of four restaurants at the hote. Mokara Salon and Spa and a Kimbell Art Museum shop will also be located inside the hotel. The hotel also offers 1301 Throckmorton, the name given to the luxury condominiums at the hotel. The Omni will start hosting guests on Jan. 17 and will play host the AFC Champions when the Super Bowl comes to North Texas in 2011.